The starting salary for health visitors in Scotland will rise by more than £5,000 as part of a deal that includes a new pay band and job description in recognition of workload. The agreement between NHS employers and health unions will see the role move up to band 7, adding more than £6,000 to the top point of the grade for the role. A review group jointly chaired by the RCN and the Scottish Executive Nurse Directors group, which provides strategic leadership for the country’s nursing and midwifery workforce, evaluated the job as a band 7 post on the NHS Agenda for Change pay scale. This means eligible health visitors will start on a salary of £33,222, progressing up to £43,471. At present, health visitors usually start at band 6, which begins at £28,050 and rises to £37,010. An RCN spokesperson said that the changes will apply to all health visitors currently on band 6 whose workload is in line with the revised job description. It is hoped that the move will improve recruitment and retention; of the 1,298 band 6 health visitor posts across Scotland, 9.5% are unfilled. NHS boards in Scotland are expected to implement the agreement ‘in the coming months’, and the changes to pay will be backdated to 3 December 2018, the RCN said. 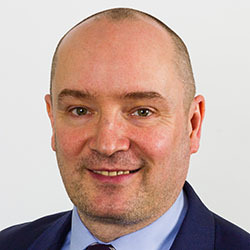 RCN Scotland associate director Norman Provan said: ‘The RCN pushed to have the job re-evaluated and we are pleased that the process confirmed our position: that health visitors deserve more financial recognition for the job that they do. To become a health visitor, a registered nurse or midwife is required to complete a postgraduate diploma in specialist community public health nursing – health visiting.